“There’s a lot going on in this charming mystery, and it all works . . . Well written and executed, this is a definite winner.”—RT Book Reviews, 4 Stars on All Murders Final! 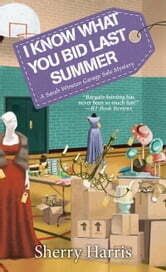 I KNOW WHAT YOU BID LAST SUMMER is another enjoyable installment in the Sarah Winston series. A lot of the same town characters are back, and Sarah once again finds herself in danger while tending to her garage sale business. A fun read for both those familiar with the series and for readers looking for a new heroine to root for. Disclosure: I received a free copy of this book. Sarah is running a sport equipment exchange in a local school gym. The night before, as she is about to leave, someone attacks her. Despite the attack, the event goes off without a hitch – until Sarah finds the dead body of the school superintendent. What is going on? This is another fabulous, fast paced read in one of my favorite series. There are several different avenues that Sarah investigates along the way, and they all come together beautifully for the climax. Meanwhile, we get some development in several series threads and a very funny sub-plot. Sarah continues to grow as a character, and the rest of the cast, both new and returning, are fantastic. The writing makes me feel like I’ve visited Sarah’s corner of the world. NOTE: I received an ARC of this book. Love this new one in the Garage Sale Mystery series!! I'm very glad they got rid of C.J!! I prefer the cozies with no husband or man. After all, we read to escape, don't we? I do anyways. Great plot, loved the high end garage sale description that Sarah did, almost like I was there. Sarah Winston, professional garage sale Goddess, agrees to manage the local high school sports equipment swap sale, and ends up getting more than she bargained for. Sarah is attacked the night before the sale when someone steals some autographed professional sports memorabilia, but it’s one of the schotsol board members who pays the ultimate price when she turns up dead. As Sarah searches for the stolen items and tries to figure out why the school board member was murdered, she begins receiving threats that try to scare her off. This is a fast paced and fun read. The characters are well developed and the story keeps you guessing right up to the end. 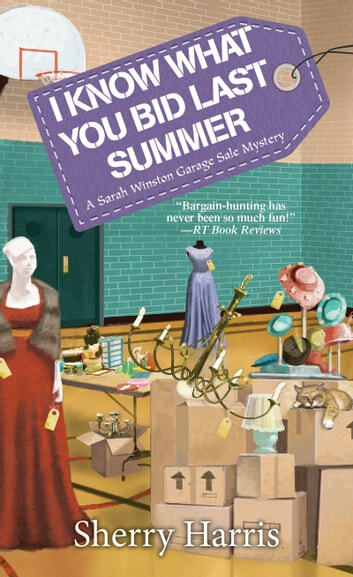 This is the fifth installment in the Sarah Winston Garage Sale Mystery series, and I can see why it’s so popular. Can’t wait to catch up on the first four books in the series.